Retro is currently all the rage among watchmakers, and everyone is busy revisiting their back catalogues in the hope of finding models in need of a lucrative revamp. In fact there are more revamped watches out there than there are revisited Hollywood TV show being adapted to the big screen. Speaking of screens, the Glasshutte Original Seventies Panorama Date manages to look very much like the screen of a retro television, and you should have no problem reading the date. There will be three different models in the Original 70’s series each with a distinct 70’s character. 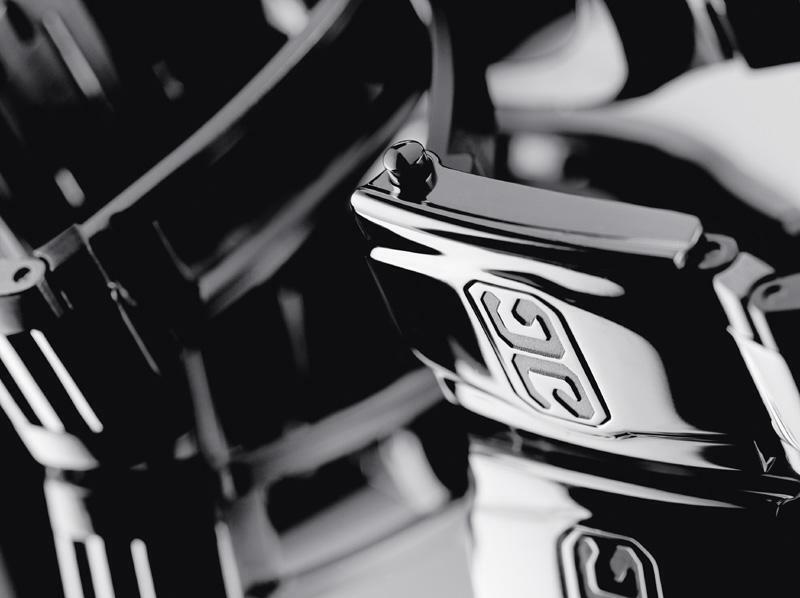 The dial is made of silver and will be available in galvanised silver, galvanised ruthenium or blue. 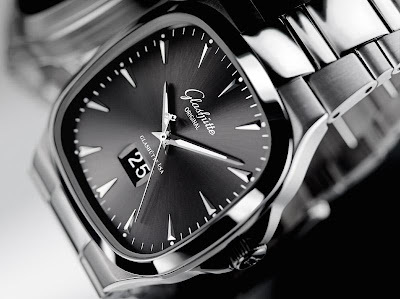 The ruthenium dial has a sunburst finish while the silver version is matte. The blue dial features finely graded shading passing from a lighter centre to a darker periphery. Depending on the choice of dial, the hands and applied indices will come in white or rose gold. 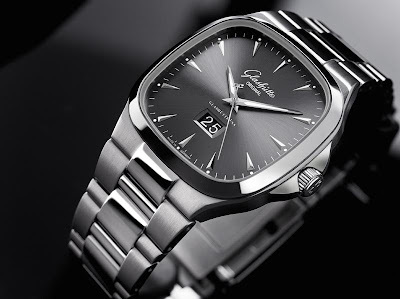 The bracelet has an unmistakable look of the 70’s about it and perfectly complements the square face. It uses a patented closing and adjusting mechanism. The double G logo functions as both the clasp’s button and the activator for the fine adjustment mechanism. The double security mechanism prevents accidental opening of the clasp. 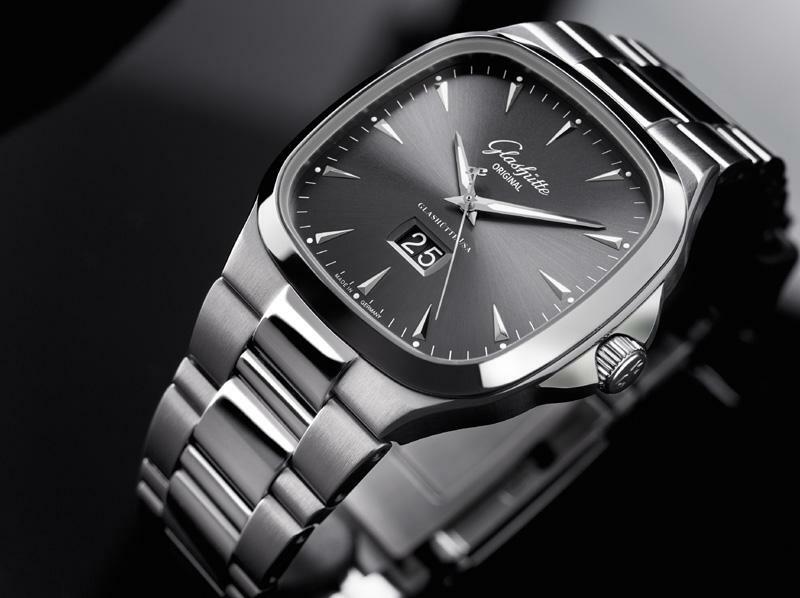 The watch runs on an in-house automatic Calibre 39-47 movement viewable through the domed crystal caseback. 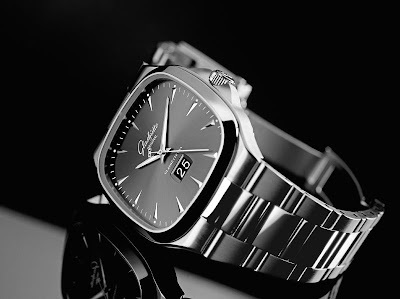 No prices as yet but the GO Seventies Panorama Date will be on view at Baselworld 2011.